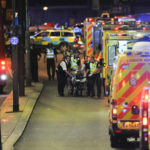 The Network of Sikh Organisations (NSO) feels it’s time for the country to have an honest debate about the religious motivation behind the jihadist terror attacks in Westminster, Manchester and London Bridge. We take the view that Western intervention in the Middle East has contributed to contempt for countries like Britain in the eyes of extremists, their sympathizers and sponsors. Moreover the duplicity of politicians like Trump, who on one hand pledge the destruction of Islamic State, whilst selling their backers Saudi Arabia weapons to murder Shias in Yemen, is counter-productive. However, we also know from the history of our forefathers who suffered terrible persecution under India’s Islamic invaders, this is not simply just about Western foreign policy. There is something else at play, and has been for a number of centuries. We must have the courage to name the elephant in the room. The NSO takes the view that jihadist attacks are primarily motivated by foundational religious texts, and Britain can no longer ignore this. We can no longer bury our heads in the sand and pretend there is no doctrinal motivation. An honest conversation, however difficult, must now take place, acknowledging the existence of verses that are clearly being interpreted by extremist Muslims as a divine license to kill non-believers or kuffar (a derogatory term for a non-Muslim). This is how true interfaith must now evolve and where the conversation, however difficult, must go. We must be clear on which verses are problematic, and how they are being interpreted. We urgently need to know what the Muslim community will do to stop hate preachers from plugging extremist narratives, particularly ones that encourage hate, murder and mayhem. The NSO extends its heartfelt condolences to the friends and families of those who lost loved ones during the London attack.